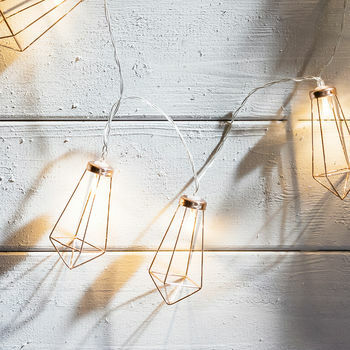 Capture two of this season's hottest trends - geometric and copper - with our stylish string of 20 pendant lights. 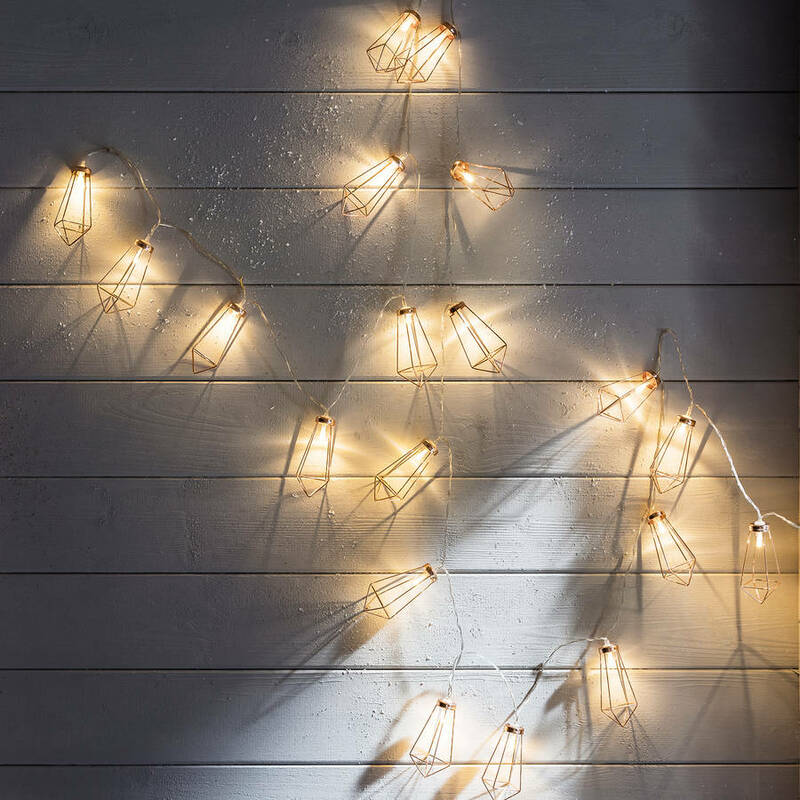 Each copper-finish pendant houses one warm white LED bulb to cast striking shadows when illuminated. 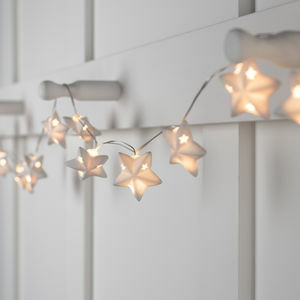 Being battery powered and with a discreet 2.85m clear cable, you can style these string lights in any room with ease. 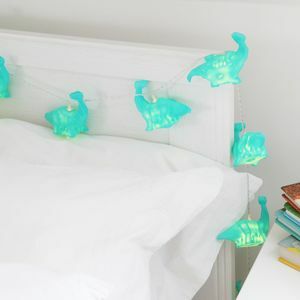 The 3 x AA batteries (not included) are housed in a clear battery box with a handy 1m lead so you can tuck out of sight with ease. There's a simple on/off/timer switch to illuminate. 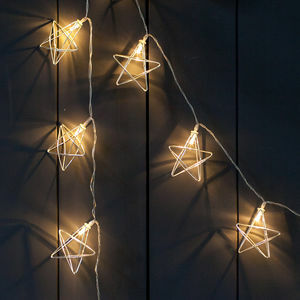 The timer setting adds to the allure of these chic lights as they will light up automatically for 6 hours each evening at a time of your choice. 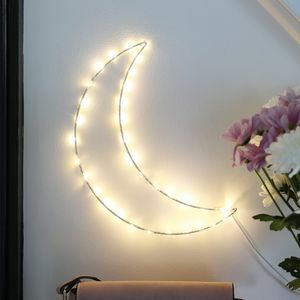 This product is dispatched to you by Lights4fun.